In Mad Max you can unlock more vehicles to expand your magnum opus and to have alternative cars. We have been looking in the wastelands of post-apocalypse all kinds of vehicles and found new cars. 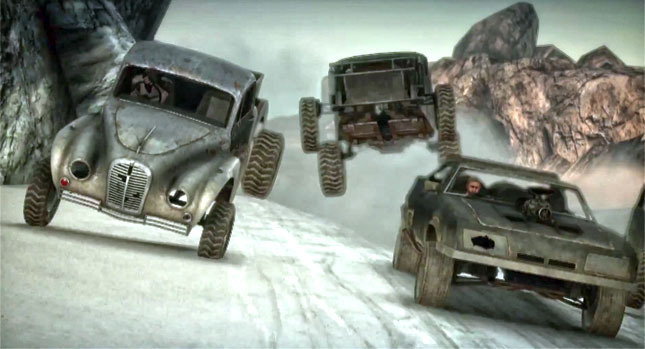 In Mad Max, it's all about cars and wild car battles. Therefore, you can assemble a very cool vehicle called Magnum Opus and upgrade vehicles. And if you want to modify the chassis of the magnum opus, you have to unlock only the appropriate type of vehicle. Alternatively, you can also drive the new truck yourself and let the magnum opus in the garage. To unlock a new vehicle, you must first find it in the wastelands and possibly tear from the hands of their drivers. Because most War Boys and bandits hanging on their carts and they never willingly to give them. Here you see all the vehicles we have found in Mad Max. To get some vehicles you have to win a Death Run and others you can find freely on the street.